To enable us to quote you the best price please advise us of the number of adults, children and dogs in you party. 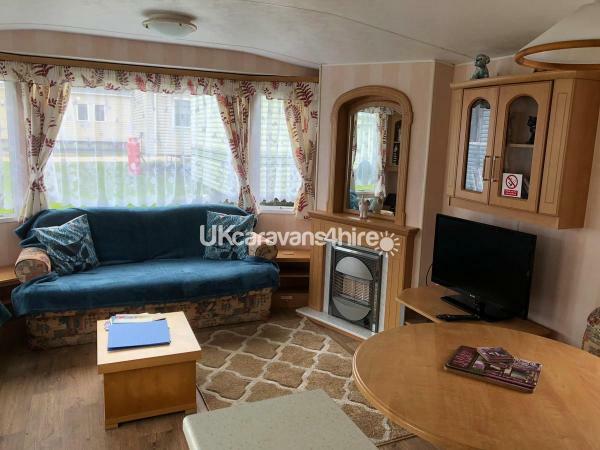 Our caravan is fully equipped with all the comforts of home including a 32” TV/DVD player with a selection of family DVD’s in a spacious living area. 2 sofas. Dining table to seat up to 4. Gas fire heating, for those chilly evenings. 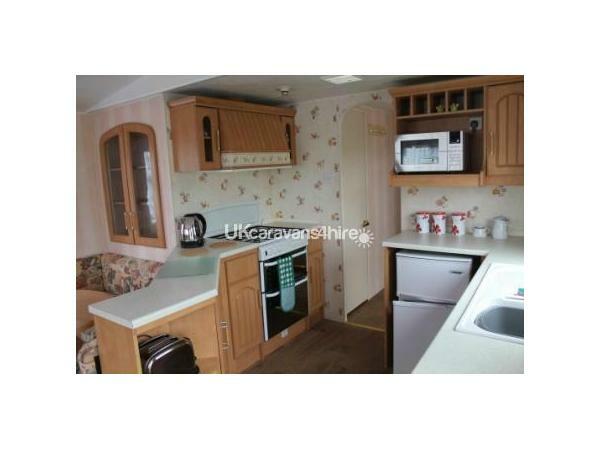 A fully equipped kitchen with full size cooker, fridge/freezer, microwave, toaster, kettle etc. Everything you would need for cooking/eating in. 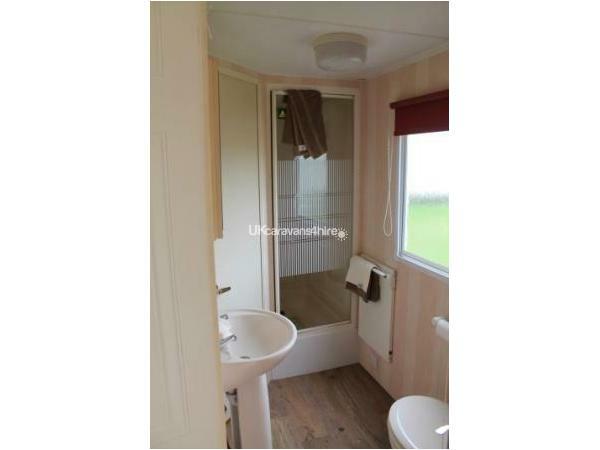 Double bedroom with shared en-suite. Double wardrobe, drawer unit and lit dressing table. 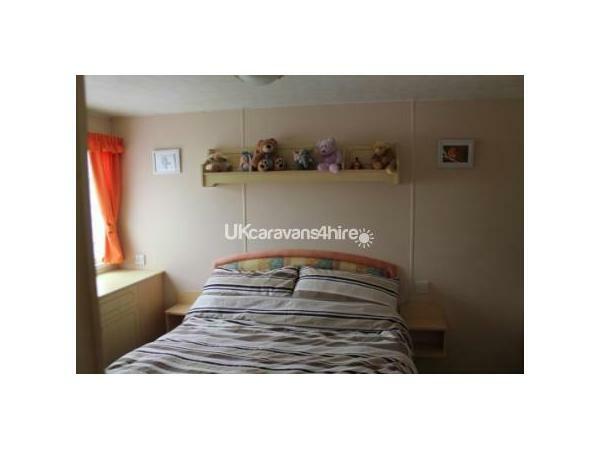 Second bedroom with twin beds and large cupboard/wardrobe. Electric Panel Heating in both bedrooms - enough to take the chill off. Bathroom with full size shower. Heated towel rail. Bed linen included, with beds made ready for your arrival. Tea towel and hand towels provided. Selection of games, puzzles and beach toys to keep the children entertained. Well behaved dogs welcome (small charge applicable). 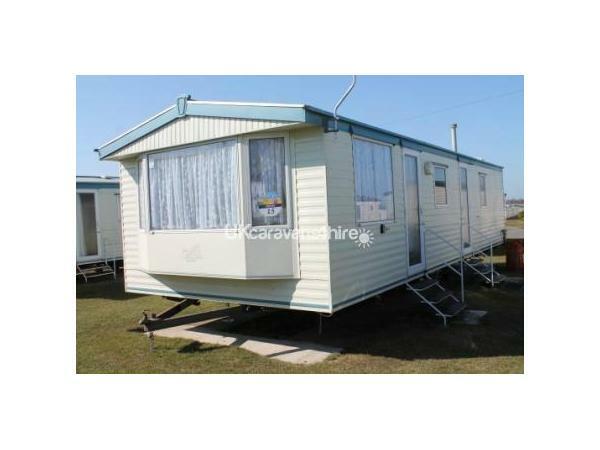 Caister Holiday Park has direct beach access to the dunes and sandy beach. The park has lots going on for all the family throughout the season, including day and evening entertainment, recently enhanced indoor swimming pool, bars and restaurants, takeaways, indoor and outdoor children's play areas, amusements, bike and kart hire, climbing wall and abseiling, mini archery, fencing and football. Kids clubs for 0 to 12’s. Convenience store with new in-store bakery, hairdressers, and launderette. The evening entertainment offers cabaret, bingo, children competitions and live shows There is something to do on the site for everyone during the day and evening and places to eat if you don’t want to cook. Entertainment passes are not included in the cost but we can arrange prior to your arrival if you wish or they are available on site. 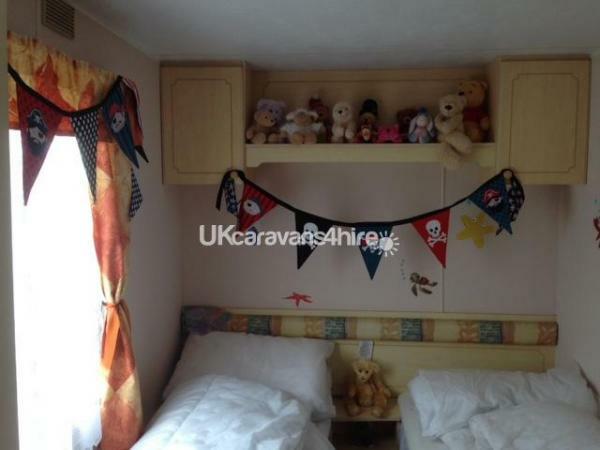 They are reasonably priced and available per person or capped per caravan. Off-site an excellent bus service runs from outside the caravan site to Great Yarmouth where the railway connects to Norwich. 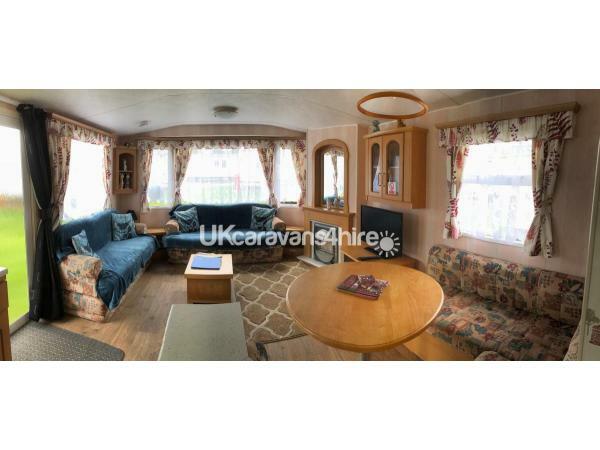 There are many attractions in the area to suit all tastes and age groups. 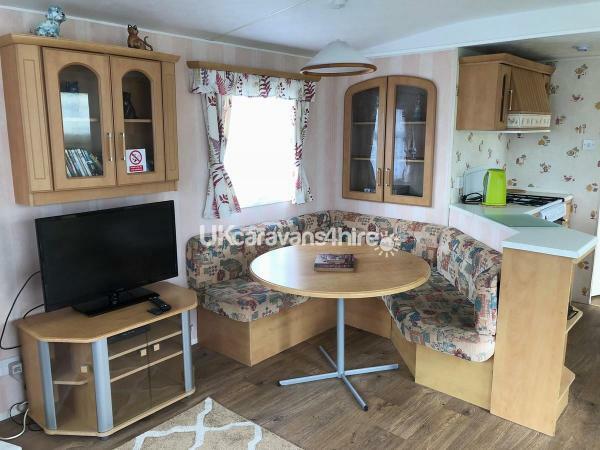 The Norfolk Broads, horse racing, greyhound racing, stock car racing, Great Yarmouth Pleasure Beach, Thrigby Wildlife Gardens, Pleasurewood Hills, Africa Alive, Bewilderwood, Fritton Lake, Wroxham Barns and many more. 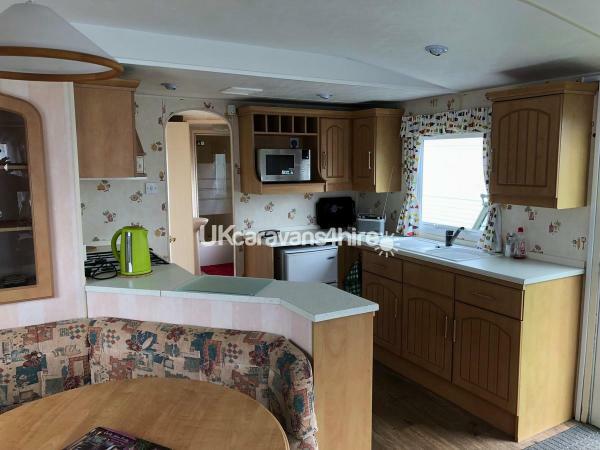 It couldn't be easier to book your holiday with us, just pick the week you wish to go (normally Saturday to Saturday during the main season - short break and differing start days are normally only available as a last minute booking and where availability allows) then contact us to see if it's still available. Once confirmed we ask for a deposit of £50 to secure your booking with the balance due six weeks prior to the commencement of your holiday. Installments are accepted as long as the full amount is paid 6 weeks prior to holiday. 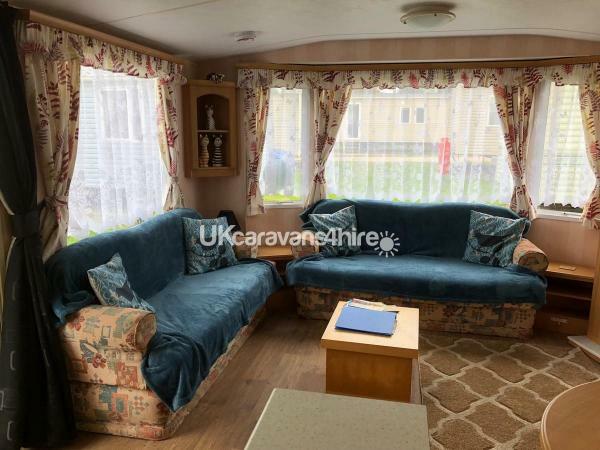 You can gain entry to the caravan any time after 2pm on your day of arrival (2 hours before Haven standard check in time) and we ask that you vacate by 10am on the day of your departure. Unfortunately due to hand over and cleaning costs the minimum charge is for four nights. If you require additional information or would like to go ahead with a booking then please don't hesitate to contact us.